Borsch, Vodka & Tears | 15,000kms of Food! I love this Melbourne institution… casual atmosphere, large list of vodkas, great menu and a nifty name. Borsch, Vodka & Tears is a great all rounder. 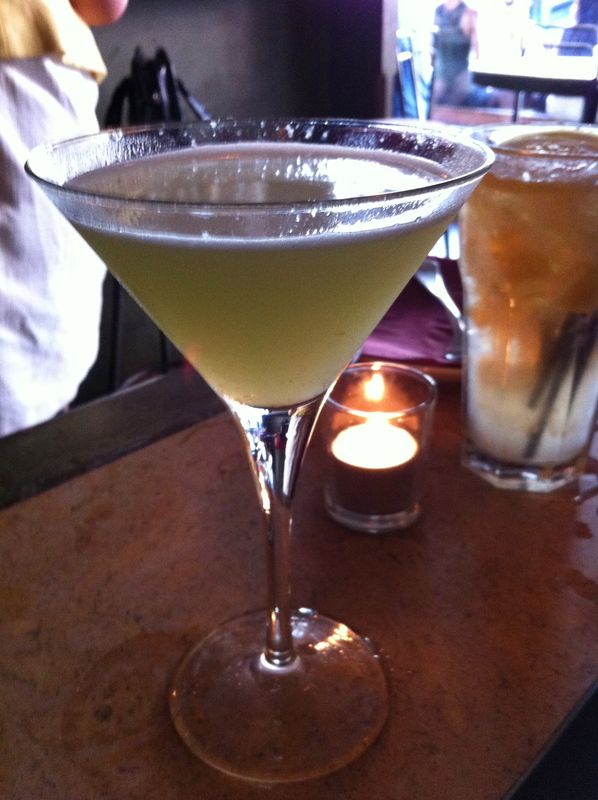 Drinks are fabulous. I asked the waiter to choose my drink and got a “Velvet Fog” which comprised of czech absinth, melon vodka, apple liqueur, pineapple juice shaken with sugar and lemon juice. 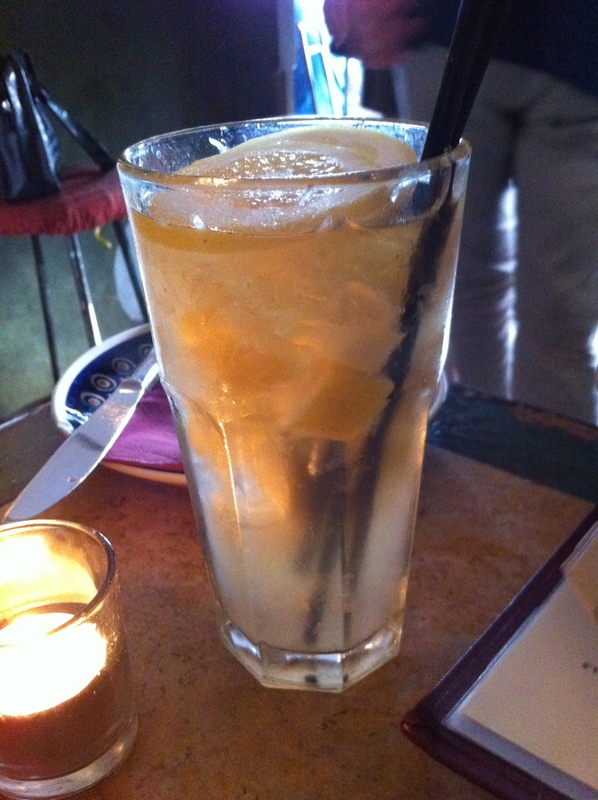 We also got a “Lemonade 20c” which was a zesty and refreshing clear vodka, fresh lemons and a dash of lemonade. 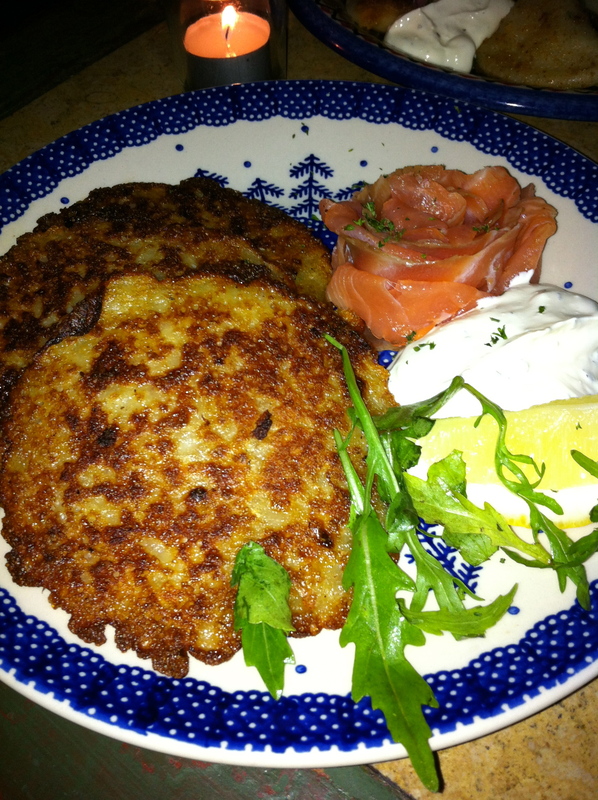 My favourite dish is the “potato blintzes” which is a perfectly cooked crispy potato pancake topped with smoked salmon, sour cream and herbs. Oh I love this dish. It also comes with other toppings such as mushroom ragu. Another favourite is the “pierogi” dumplings that comes with the following fillings: “beef, chicken, herbs with a paprika meat sauce”, “porcini mushroom and sauerkraut with a breadcrumb coating” and “cheese and potato with fried onion and sour cream”. All are yummy! 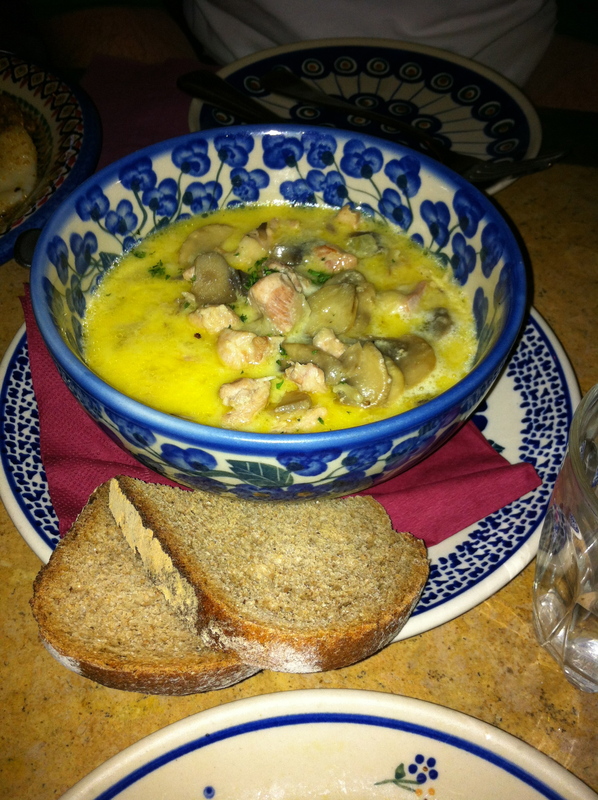 The “Russian style chicken stroganoff” rocked my world. Rich buttery sauce, nice pieces of chicken and loaded with mushrooms. Yum! 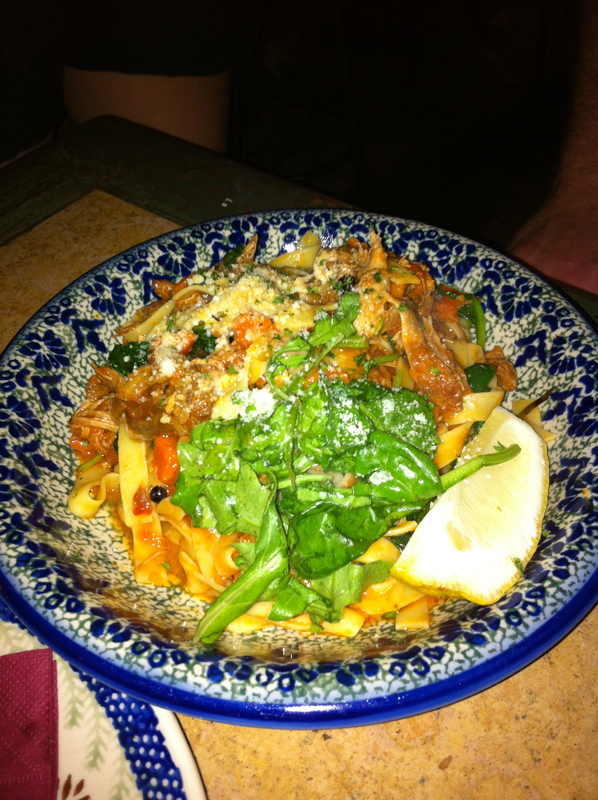 The pasta dishes are good, but not a must do. 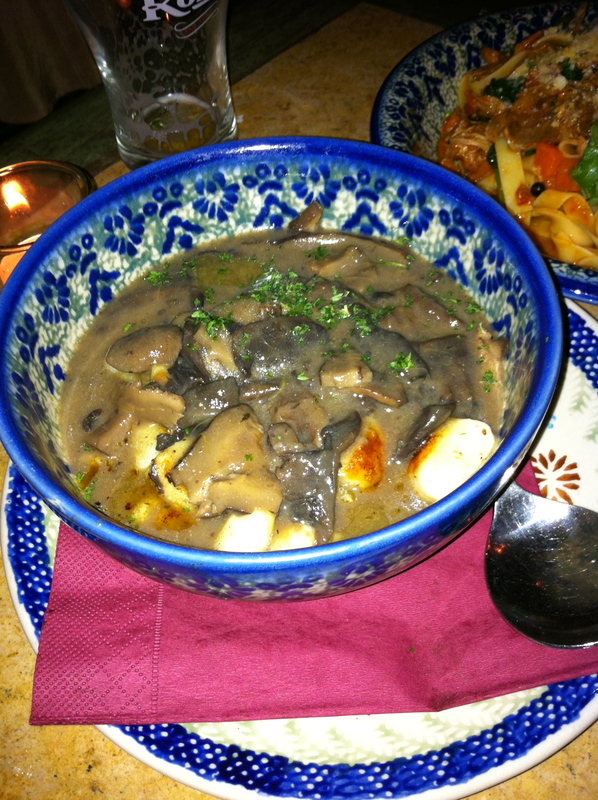 The “panfried gnocchi with mushroom ragu” has perfectly cooked gnocchi, and a great mushroom ragu over it. The “seafood fettucini” was good. Both were large serves. 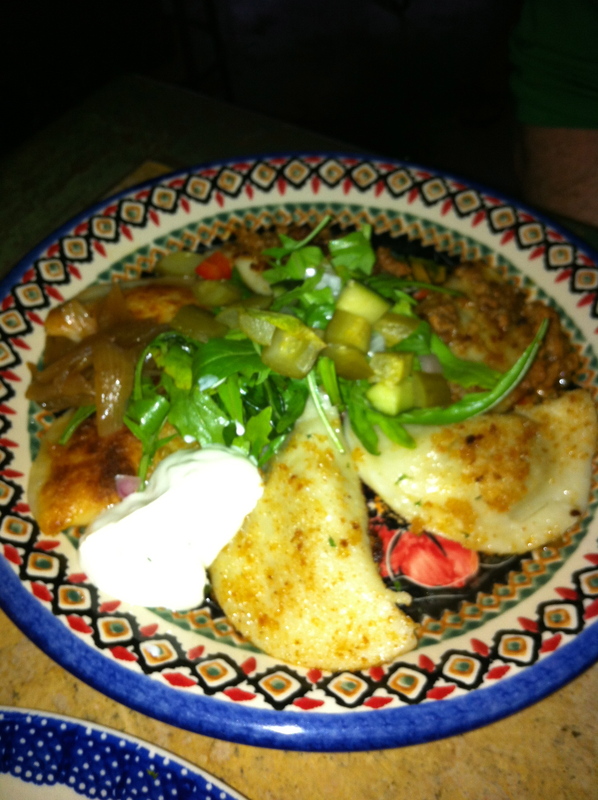 Hearty, Polish fare with generous portions and a great selection of drinks makes for a great night out! Love Borsch, Vodka & Tears and can’t wait to go again!